Speed networking is a fast and fun way to meet other professionals. Based on a model like speed dating, speed networking allows you to meet many people in a short amount of time. This structured process serves to facilitate introductions and conversations between people who have never met before. Commonly, this model is used at events for professional groups, college alumni groups, and even college or corporate orientations to help foster relationships between the participants. 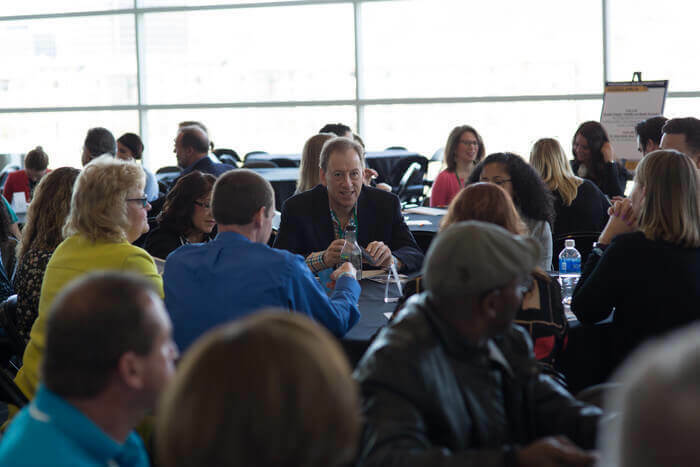 Speed networking in Pittsburgh is a great way to meet potential clients, business partners, and to make new, mutually beneficial connections in the business world. During a speed networking event, a variety of different methods can be used to structure interaction between participants. The main goal of each method is to ensure the participants are being rotated so that each participant can interact with everyone attending the event. To facilitate the rotation, each person is allotted a certain amount of time to introduce themselves. Typically, this allotted time is between 30 seconds to five minutes and will vary based on the size of the group. Business cards are a great tool to have on hand for a speed networking events. With your business card, you can seek further opportunities for one-on-one exchanges with other participants that you made a connection with, maybe at a reception after the speed networking event or another day over a cup of coffee??? To get the most out of exchanging your business card with new connections, be sure the card not only includes your contact information, but also a reference to your LinkedIn or other professional profile that contains a more in-depth summary of your professional background. Since you will only have a short amount of time to introduce yourself, it is important to make the most of it. Having a brief elevator speech prepared will help you to effectively summarize the key elements of your work, educational history, and your goals for your future career path. Once you have prepared your speech, be sure to practice delivering your speech in a concise and natural manner within the time constraints of the event. To develop a solid connection with other participants, it is important to show genuine interest. Speed networking is a two-way process, so be sure to listen carefully to each participants’ introduction and send them nonverbal cues to show that you understand what they are talking about. By actively listening, you will understand your partner’s background and situation better, allowing you to offer more effective advice or assistance to them when needed. What skills contribute most to the success in the work you currently do? Would it be possible for us to meet later for a more in-depth informational interview since I am very interested in learning more about your work? After learning about my background, how can I assist you in moving forward with a career? 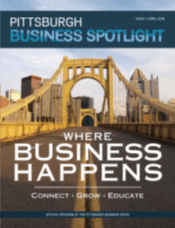 The third annual Pittsburgh Business Show will be held May 14-15, 2019 at the David L. Lawrence Convention Center where you can participate in one of three of the most unique speed networking events in Pittsburgh. Visit https://www.pittsburghbusinessshow.com/speed-networking/ for more information or to purchase your tickets.